In 2018 Grilla Grills updated their Silverbac pellet grill and made a great product even nicer. I wanted to give you a quick review of the new grill and show you how it stacks up against a few competitors. The video below walks you through the primary features of the Silverbac. The video is short and to the point with the real details showing up at the 50 second mark. Give it a quick watch. 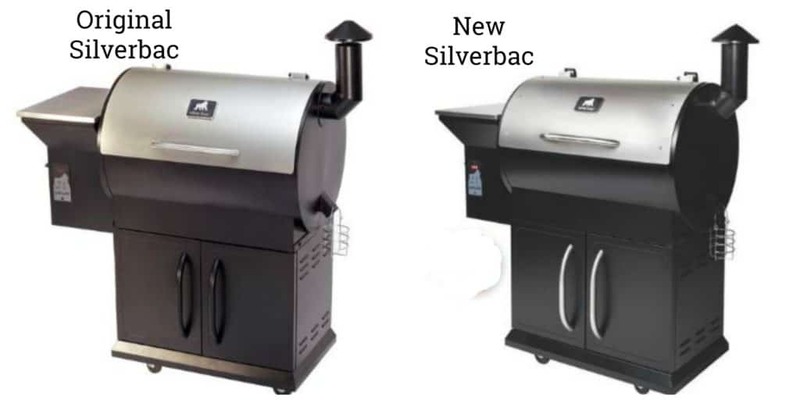 The most obvious difference is that the new Silverbac has an easy dump pellet hopper that lets you change out pellet flavors if you want to smoke chicken with apple pellets one day and brisket with hickory pellets the next. Most of the internals (fire pot, heat deflector and grease tray) have been upgraded to stainless steel. The cabinet door handles on the new version are now silver. More subtle upgrades include a few tabs around the main grate that keep it from moving around and damaging the temperature probe as well as a second set of internal brackets that allow you to add an extra upper cooking grate if desired. The bones of the old and new Silverbacs are the same but the new version has a few nicer touches. Let’s start with a look at the raw numbers and then move on to some of the standard features. Let me start by saying that the 1/4 inch stainless steel cooking grates on the Silverbac are SWEET. The grates are usually the first thing to break on regular grills but the quarter inch stainless grates on this grill should last at least ten years. The Silverback has an integrated meat thermometer, easy dump pellet hopper and advanced safety features that shut the grill down in the event of excessively high or low temperatures. The grill also features a double walled body that provides an insulating air gap. This built in insulation allows the grill to retain heat and use pellets more efficiently. You can easily reach target temperatures in cold weather and save money on pellets. The more efficient use of pellets is something that seems small but will end up paying big dividends over the thousands of cooks you will perform with the grill. One thing I respect about Grilla Grills is that they post ALL customer reviews, positive and negative, on their website. As of the time of this writing the Silverbac had 192 posted customer reviews. Of the 192 reviews 92% were either 5 or 4 stars while 5% were 1 or 2 stars. This level of customer satisfaction is on par with what is provided for Weber gas grills which are renowned for world class quality. The delivery company screwed things up. A few folks were pissed that they bought the old version right before the new version was released. One or two folks had a problem with the feed rate of the pellet auger. One of the tough things about buying a pellet grill it that they all kind of look the same. How do you make the decision between spending $400 on a Pit Boss or $900 on a Rec Tec or something in the middle when they all function in the same basic manner? It gets even more confusing when Traeger and Camp Chef both have over a dozen different models to choose from! 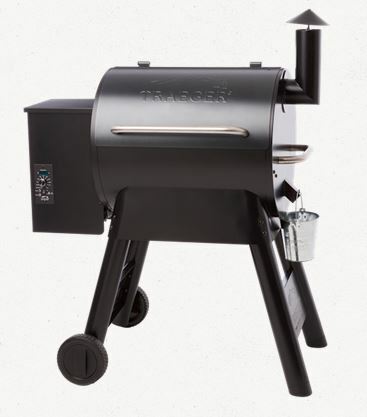 I think the best Traeger grill to use for a head to head comparison against the Silverbac is the Traeger Pro Series 22. The Pro Series 22 costs about $50 less than the Silverbac and has a slightly larger primary cooking grate (572 vs 507 square inches). Without question, the Silverbac is a nicer product. The Traeger has porcelain enameled grates compared to the 1/4 inch stainless steel grates on the Grilla. The temperature on the Traeger can only be adjusted in 25 degree increments compared to 5 degrees on the Grilla. The Grilla has a secondary, elevated grilling surface that adds an extra 185 square inches of grilling space. The Traeger has a three year warranty compared to four years for the Grilla. The Grilla has an easy pellet change out system and insulated double wall construction. A detail that always bugged the beck out of me about the Traeger is the pellet hopper. The Traeger hopper only holds 18 pounds but pellets are usually sold in 20 pound bags! Why don’t they make a hopper that takes a full bag of pellets??? The Grilla hopper holds 20 pounds. Traeger’s are fine grills and many people love them. They just are not as nice as a Silverbac. The best Camp Chef pellet grill to do a comparison against is probably the Woodwind Classic. The Woodwind Classic is about $50 less than the Silverbac but is considerably smaller with a primary cooking grate providing 429 square inches of grill space. I like the Woodwind, and all of the Camp Chef pellet grills, a whole lot more than the Traeger products. The Woodwind Classic has an easy dump pellet hopper as well as a patented ash clean out system and integrated meat probe. This grill comes with porcelain enameled steel grates, a three year warranty and is a solidly built product. The Silverbac outclasses the Woodwind based on size, the stainless steel grates, insulated double wall construction and digital controller. The Woodwind Classic does have a strong advantage in the department of optional upgrades. Camp Chef offers two accessories for the Woodwind that are extremely nice. The first is a propane fired infrared searing station that fits on the right side table. The Sear Station can hit temperatures of 800F and is a beast for putting a sear on steaks. The second accessory, called the Sidekick, is a propane fired griddle that also fits on the right side table. I am a sucker for griddles! The head to head comparison from Rec Tec is the Stampede RT-590. The Stampede is a freaking beauty and there is a strong argument that it is as good or better than the Silverbac. There are minor differences in the build quality and materials between the two grills but in the end they are both solidly built from high end materials. 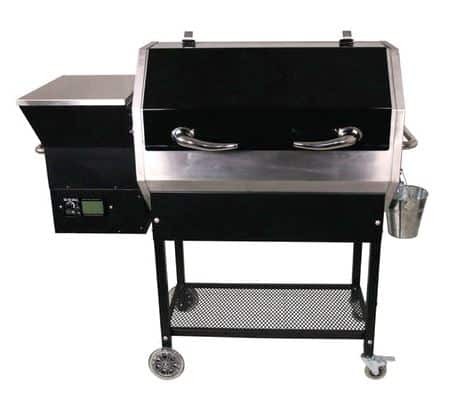 The Stampede is slightly larger than the Silverbac offering 590 vs 507 square inches of primary grilling space. The Silverbac comes with a secondary grilling rack that offers even more grilling space while the secondary rack is an optional upgrade on the Stampede. Both grills have stainless steel grates, heat deflectors, grease trays and fire pots. The Stampede takes the lead in features by offering two meat probes instead of one. What really sets the Stampede apart is the precision Wi Fi enabled PID controller that lets you fine tune your temperatures and holds the pit at your target temps completely steady all day long. There is a debate about PID controllers that I think is interesting. Some people swear by PIDs due to the ability to hold temperature rock steady. 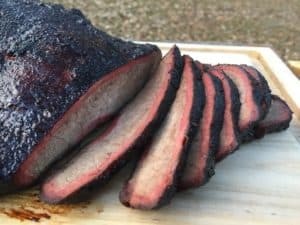 Other people say that because the grill is running so steady that it burns pellets so cleanly that they can’t taste the smoke on their finished meats. One thing about Wi Fi enabled PID controllers is that they are expensive. The Stampede costs $900 which is $150 more than the Silverbac. You are going to have to make your own decision as to whether the PID is worth the extra cash. I want to give you a heads up on something that bothers me about the Stampede. This $900 grill with the high tech controller only has a two year warranty. I find this troubling since it’s larger brother, The Bull, comes with a six year warranty. If I am going to spend almost a thousand bucks on a grill then I am going to want something better than a two year warranty. I am not going to do a head to head with any particular Pit Boss smoker. If you want something cheap and functional then take a look at a Pit Boss. Pit Boss grills come with a one year warranty. The metal is so thin that the owners manual actually says that you will probably only be able to use the grill for a few seasons per year. If you are scared about investing in a high quality grill like the Silverbac go ahead and get a Pit Boss. You will get hooked on pellet grilling and when the Pit Boss dies in a couple of years you will be excited to make the upgrade to a Grilla Grill. Grilla Grills was founded in 2012 in Holland, Michigan as a diversification strategy by a high tech metal fabrication company. Here is a nice behind the scenes look at there operations by the head engineer and designer, Mark Graham. I really like Grilla Grills and what they are bringing to the barbecue community. 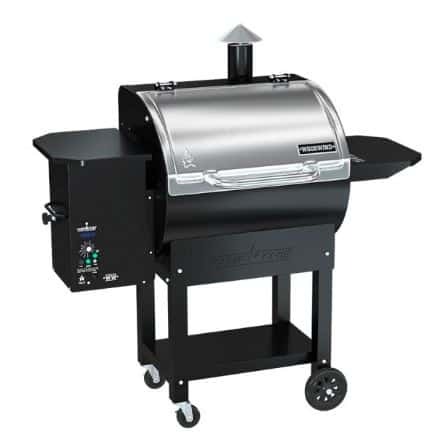 One of their core concepts is “More Grill, Less Money.” That is the kind of stuff that I can get behind and is the main reason they made my list of the Best Pellet Grills for the Money. Here is the link to see the Silverbac on the Grilla Grills website.